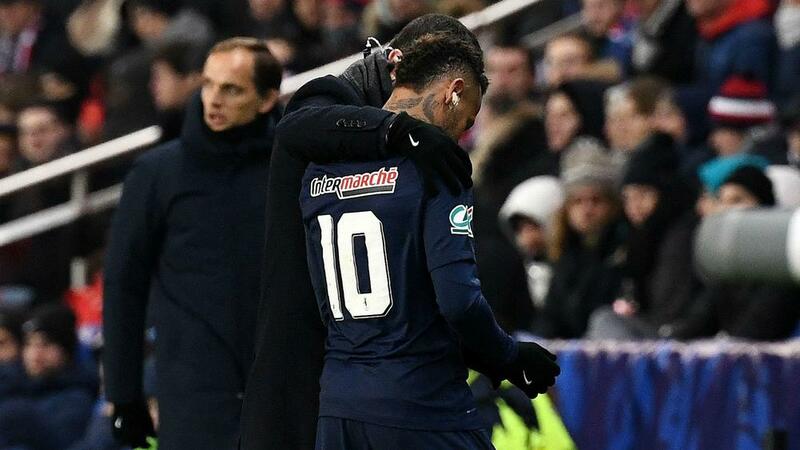 PSG's 9-0 thrashing of Guingamp on Sunday (NZDT) was soured by midfielder Marco Verratti suffering a sprained left ankle, and Neymar sustained a problem in its latest success. Thomas Tuchel's side had been 1-0 up at the time thanks to Edinson Cavani's early goal, and Angel Di Maria's 80th-minute volley made sure of its progress to the last 16. It took PSG 11 minutes to score the first of their nine goals on Sunday (AEDY), but it went ahead after just four minutes here, Cavani placing home after Eric Maxim Choupo-Moting gathered Thiago Silva's long ball.